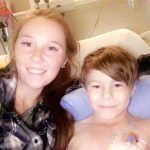 At the age of just three and a half months, my son Carter was put on the list for a heart transplant and, at five and a half months, he received a new heart. We were overjoyed. 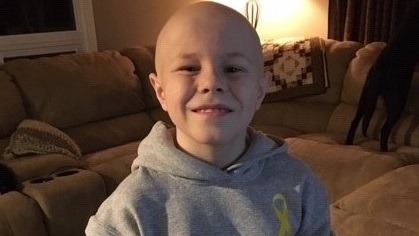 But then this past August, at the age of nine, Carter was diagnosed with non-Hodgkins lymphoma – a cancer that can arise in transplant recipients. His cancer was diagnosed at stage 3 – and tumours were found on his kidneys and bowels. 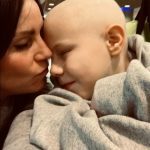 It has been a tricky process for the doctors to treat his cancer because they do not want to add any more damage to Carter’s kidneys or heart. 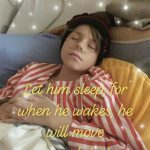 Despite all that he has gone through, he is the sweetest guy you will ever meet. 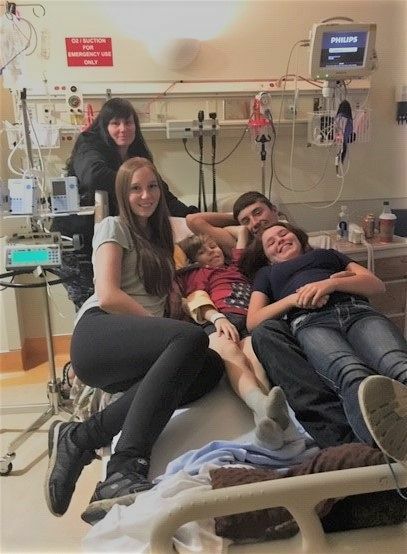 L-R Tracy (mom, Alyssa, Carter, Jack and Olivia. I was recently laid off from work and I am now collecting Employment Insurance benefits – Compassionate Care. While I am grateful to receive this financial help, it’s still very difficult to make ends meet each month. The children’s Dad and I divorced in 2013 and he wasn’t really a part of their lives. Last year he passed away with the same heart condition as Carter. 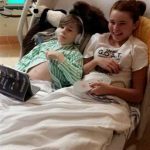 We are facing one of the biggest struggles our family has ever faced, but I feel blessed to have such wonderful children: Olivia is 11 and Carter is nine. I also have two adult children Jack, who is 21 and Alyssa who is 20, who have been with us every step of the way. They have been the backbone holding us all together. 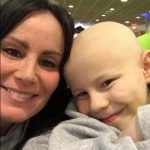 We are sincerely thankful for everything that Kids Cancer Care has done for our family. 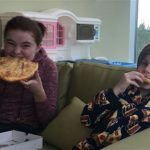 Pizza Night at the hospital has been a favourite of ours over the past many months. We don’t have the proper words for all the support we’ve received, but it has definitely not gone unnoticed or unappreciated. Thank you Kids Cancer Care.